delfield was designed by a local architect and built as his family home. The architect, Francis usher holme, was clearly a man of some standing. Stone for this family home was quarried in the grounds, creating a dramatic sunken garden. The estate was walled to all sides, with exemplary stone features which added to the feel of quality and taste. Francis’ practice was also responsible for Liverpool’s County Sessions House and the building which now houses the famous Liverpool Institute for Performing Arts (LIPA), co-founded by Sir Paul McCartney. Earlier this century, with the house still in private ownership, a project was begun to extend it significantly. Part way through, work had come to a halt. 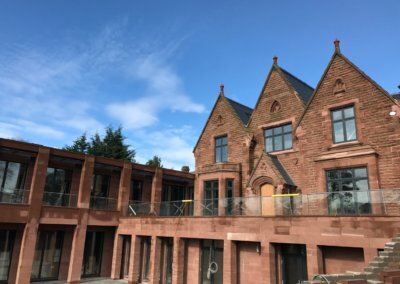 The client’s QS, who had worked with Lyons previously, asked us to correct some issues left by the previous contractor and to take the masonry element of the project through to completion. In the end, this was a major scheme, drawing on most of our in-house skills. 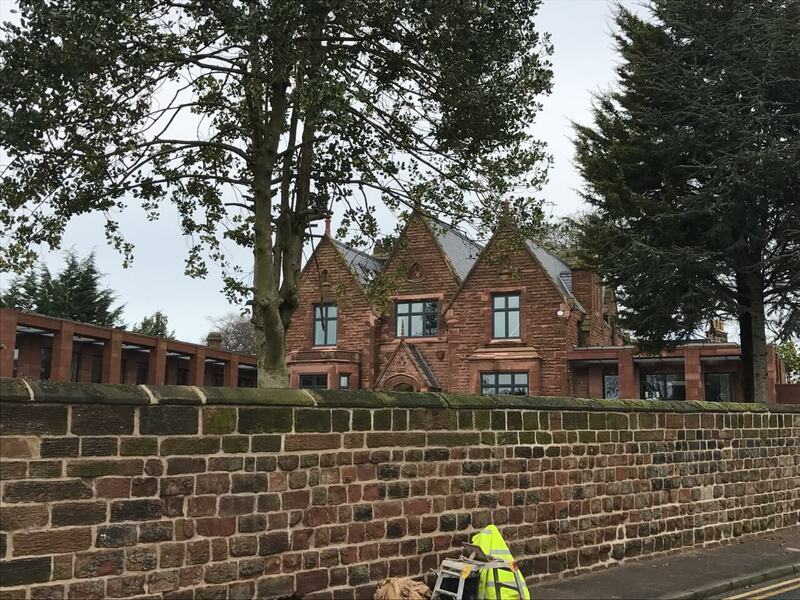 Lyons built the new extensions, carried out external walling and steps, and performed substantial repairs to the original house. 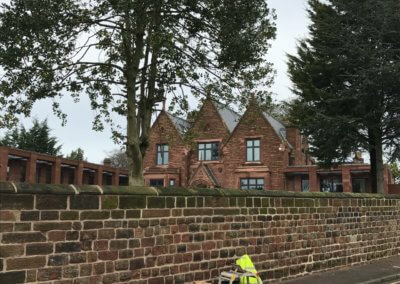 Completion of new-build extensions to the property. 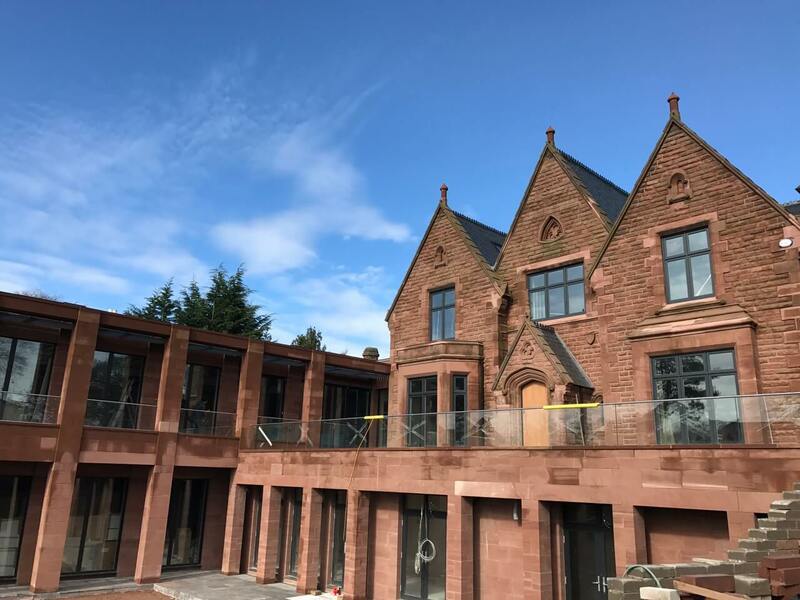 Scheduling and templating for masonry to complete new build. 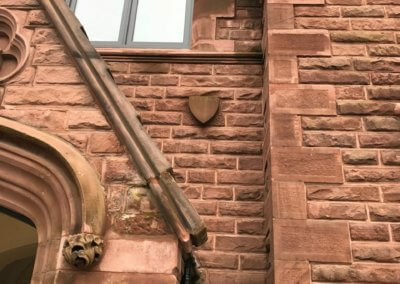 Sympathetic repairs to original building. Templating, production and site fixing of replacement stonework to original house. 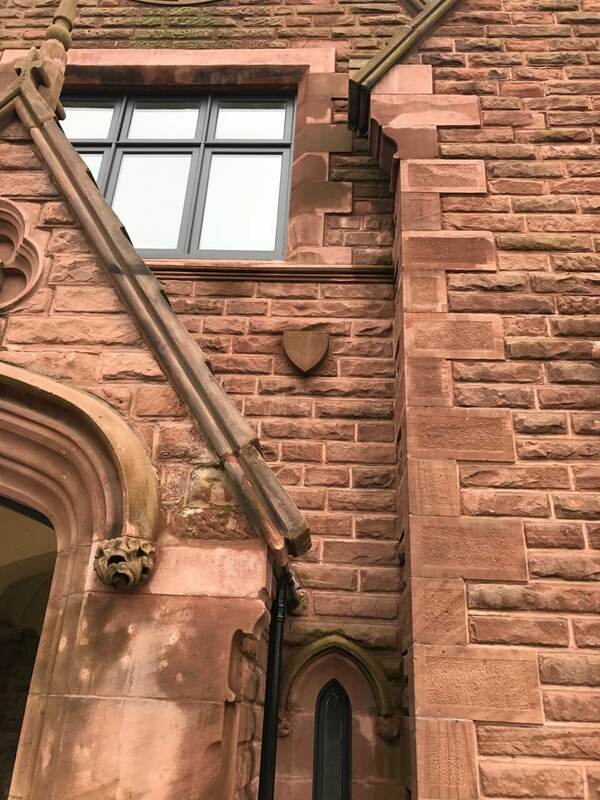 Lime pointing and repairs to boundary walls. Main external steps to the property.